40 ton gantry crane is suitable for lifting and moving heavy loads up to 40 ton, widely used in a variety of fields, such as manufacturing industry, railway, construction site and port. The gantry crane 40 ton is normally built with double girder and helps improve efficiency and safety of your production lines. With respect to various lifting applications, we supply different types of 40 ton gantry cranes to meet your practical needs. They can be divided into A frame and U frame gantry crane according to frame construction, rail mounted and rubber tyred gantry crane according to running mechanism. Each type is designed for specific applications and working environments and has its own advantages and disadvantages. We can help design cost-efficient lifting solutions on your requests so as to create maximum benefits for you. As a heavy duty gantry crane, 40 ton lifting system is an economical and high efficient solution to handle a large variety of materials from small to large size. We provide various types of gantry lifting equipment to fit your 40 ton lifting requirements. MG type double girder crane is the most commonly used type to handle heavy loads. 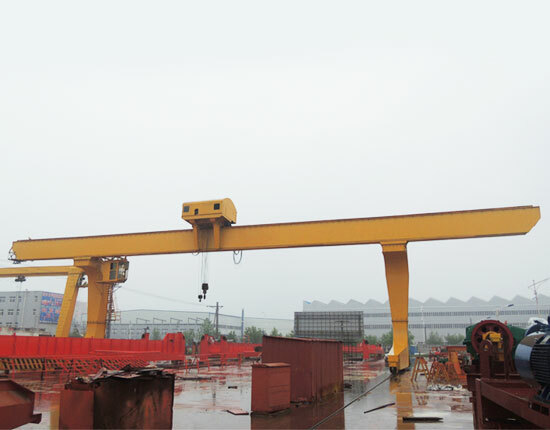 According to gantry frame construction, it also belongs to a typical A frame gantry crane. This type of 40 ton gantry crane travels on rails of ground, thus it is also a rail mounted type gantry crane. The main beam can extend beyond crane runway on one end or both ends so as to form cantilevers. 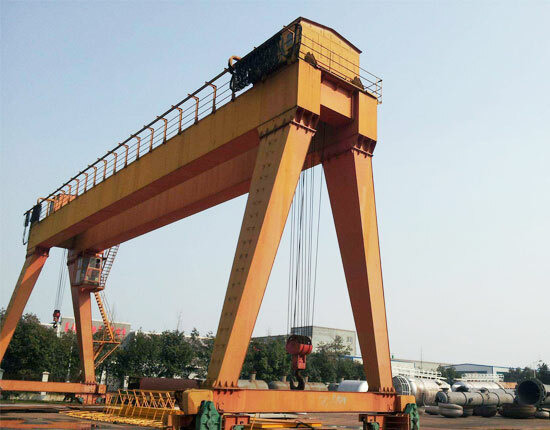 Designed for general uses, the 40 ton double girder gantry crane is widely applied in many open areas, such as freight yard, shipyard, dockside and sea port. 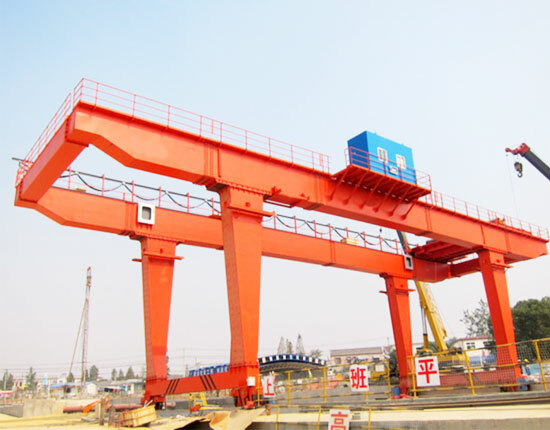 The U type gantry crane, as the name implies, is designed with U-shape legs. 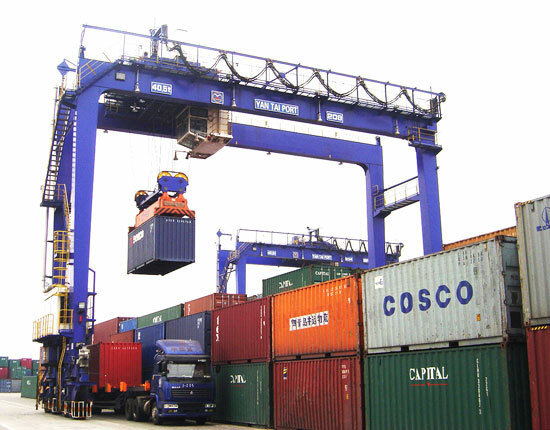 Compare with A type gantry crane, it has exceptional features such as a larger space between the two legs, which makes it convenient to load, unload and transfer large sized cargoes at one end or both ends of cantilevers. U frame gantry crane is mainly used in various outdoor workplaces including railroad freight yard, quayside, shipyard and port. It has many advantages such as large carrying capacity, optimized structure, stable movement and large lifting coverage. Rubber tyred crane is a kind of mobile type lifting system widely used in railroad, dock and port to handle various heavy cargoes such as containers. 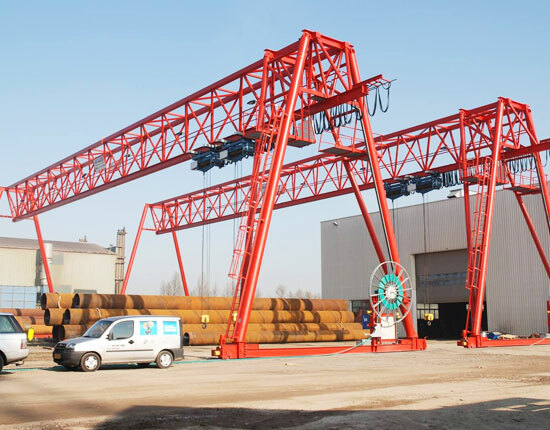 The gantry crane can be built with different types and numbers of rubber tires according to your actual lifting needs. The rubber tired gantry crane provides a convenient and flexible movement, allowing you to move the equipment anywhere within the working areas. This 40 ton portable gantry crane helps accelerate operations of workplaces so that it can boost productivity for your businesses. With regard to different working environments, box and truss type gantry cranes are available to meet your particular requirements. We also provide other types of heavy duty cranes such as 50 ton and 100 ton gantry cranes for your larger lifting applications. Welded box shape or truss structure is available to adapt for different working environments. The design of cab room takes many factors into account, including safety, durability and good field of vision. The ladder and platform are designed with considerations of high safety and reliable. For instance, non-slip measures are taken at platform walkway to prevent accidents. Compact layout and quality components make it possible to realize a stable and reliable performance. Safety devices are outfitted to ensure a secure operation. It can be installed, disassembled and transported easily. We supply a wide range of 40 ton gantry cranes for numerous lifting applications. When looking for a 40 ton gantry crane, it will be very helpful to think about what to look for in the whole selection process. The most basic consideration is 40 ton crane size including the overall equipment height, span, trolley gauge and cantilever length. The main beam height is determined by lifting capacity and span, and the cantilever length is determined by actual lifting requirements. The trolley gauge is a key factor to determine the spacing between two girders. 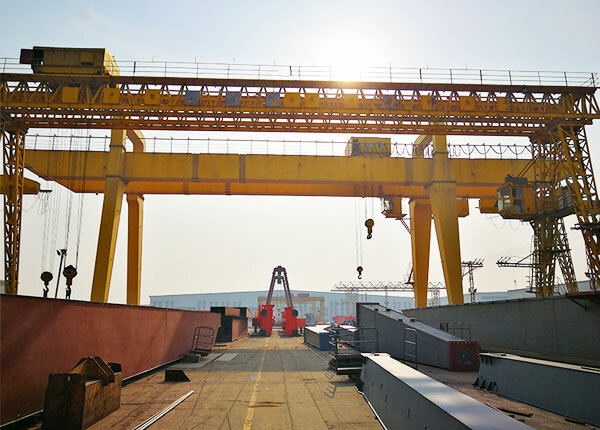 With regard to different applications, working environments and facility conditions, you can choose either rail mounted or rubber tired type gantry crane. What materials to be handled and how critical they are will dictate the lifting tools you need. We have a wide range of lifting devices for you to choose from, such as hook, grab and spreader. Considering safety hazards in the working environments, your 40 ton gantry crane may need to be equipped with several protection devices, such as overload limiter, interlock protection device, alarms and anti-collision device. Each working area or environment is different, so you should make sure the 40 ton gantry crane is the right type for your individual application. To know more, contact our sales representatives online now. Why Choose Ellsen 40 Ton Gantry Crane? 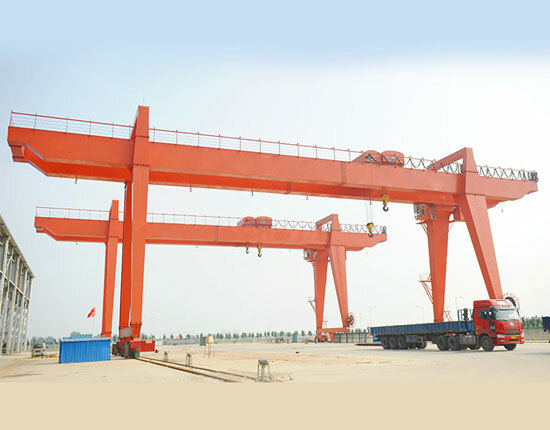 We are reputable gantry crane manufacturer and servicer in China. By means of providing quality products and reliable services, we have won the trust of clients. We supply a wide range of material handling equipment to fit almost all needs of customers, including overhead crane, gantry crane, jib crane, hoists, construction winch and marine winch. As a dependable servicer, we offer a full range of services from the equipment design, manufacturing, delivery to installation and maintenance. We also focus on the continuous improvement of the equipment in terms of structure and quality to make sure it will better serve the needs of our clients. If you are looking to buy a 40 ton gantry crane, Ellsen will be a better choice. Contact us today to get a free quotation with favorable price!